Traditional Thai classical dance (natasin) which we perform is very elegant – comprising graceful movements, brilliant colours, soft rhythms and a radiating presence. The art form is very strict, employing 108 basic movements and keeping the body upright from the neck to the hips, moving up and down using only the knees, and stretching to the rhythm of the music. A great deal of symbolism is displayed in complex and beautifully executed finger and hand movements. Sometimes specially designed finger nails add to the effect and complement the splendour of the spectacularly ornate costumes. All of it blending to produce a hypnotic and memorable experience. Elegant and graceful movement, brilliant colors , soft or fun rhythms depends on the type of dance. Audiences are welcome to participate in some type of dance. 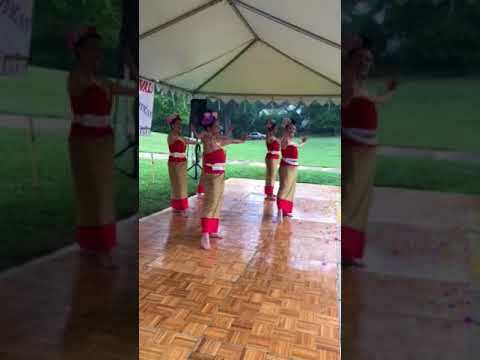 We are the group of Thai-American who loves to entertain and bring joy to everyone with our high standard performance of Traditional Thai dances. Traditional Thai classical dances including central Thai classical dance, Northern Thai classical dance and North Eastern Thai classical dance.